Lights, camera, action! 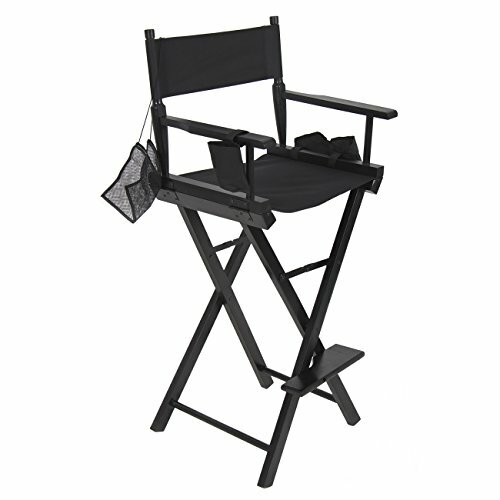 For beauty makeup artists and motion picture directors, this chair is a must-have. Built of sturdy wood and a durable black canvas, it's designed to remain an essential part of any makeup artist's or director's routine. A foldable and flexible build makes this chair easy to transport, and the included storage pouches will keep all your accessories at arm's reach. Now you can call the shots the way directors are meant to. Overall Dimensions: 18.5"(L) x 22"(W) x 46"(H); Weight Capacity: 250 lbs.